Evergreen Bible Church is led by a group of men who are approved by the members to serve either as vocational pastors or lay elders. Collectively, this group is called the Leadership Team. The Nominating Committee has recently completed its work and is recommending John Farness to join this team as an elder. Evergreen members will be asked to vote on this recommendation at the annual business meeting on January 13 and that means some of you will need an introduction. John will share a bit of his story in the worship services later this month, but we asked him to provide a written version to help jump start the process of helping you all get acquainted. We hope this will prompt many to introduce themselves and have a conversation. If you have any questions about the leadership confirmation process, please don’t hesitate to contact me or any of the other Nominating Committee members (John Heath, Jim Whittaker, Vicki Scheel, Linda Dowler, Denise Buckles). I was blessed to be born into a Christian family. My mom was faithful to teach me about the Bible and made sure that I was in church every week when I was a child. While this gave me basic Biblical knowledge and an understanding of the Christian faith, I didn’t make a personal commitment to follow Christ as a young child and I didn’t have a conviction of my sin. I believed in God, but thought I was okay because I believed in Jesus. During my junior year in high school, a close friend invited me to go to a youth group with her. I started going with her regularly and there I received good Bible teaching and an explanation of the Gospel that resonated with me. As I started learning more and examining my life in the light of God’s Word, I was convicted of my sin. There wasn’t a certain day that I remember surrendering my life to Christ, but slowly my thinking changed, and I knew that I wanted and needed to follow Jesus. I began reading my Bible regularly and my life began to change. At that time, I was regularly attending church, youth group and Bible study as well as being discipled by a youth group leader. Over the years there have been many things that God has used to strengthen my faith and caused me to grow. He has used His Word through Bible study to change my thinking and given me an understanding of who He is and what His will is. Since I started following Christ, I have always been in fellowship at a Bible believing church, which has been fundamental in my spiritual growth. I am the father of four adult children and two step children. My three oldest have graduated from college and are living in Seattle and Spokane. My youngest is currently a junior at the University of Washington. Lyne’s daughter is a missionary in Uganda with Africa Inland Mission and her son is a college student living with us. I was divorced about 8 years ago. 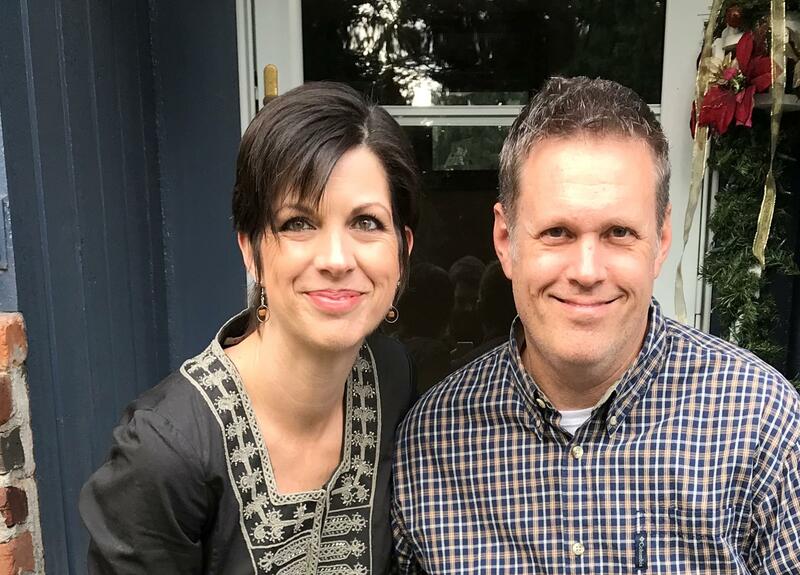 My former wife decided that she was no longer a Christian and began a relationship with another man. After several months of trying to heal the marriage, it became clear that she was not willing to pursue reconciliation. She filed for divorce and it was finalized early in 2011. I would encourage anyone who has questions to contact me if they would like a more in depth explanation of the circumstances. It was through this traumatic experience that I started coming to Evergreen. I had been in leadership at my former church and found it very difficult to stay after the divorce. I began looking for a church and was familiar with Evergreen, having lived in the neighborhood for many years. I had known Toby and Kristin for a few years and knew that Evergreen was a vibrant and healthy church! Evergreen was very significant in the healing process for me and has been my church home ever since. Lyne and I began dating in April of 2012 and we were married in March of 2013. We feel very blessed to have found each other! We have a strong marriage and love spending time together. We enjoy hiking, camping and spending time outdoors. We believe strongly in serving Evergreen with the gifts that God has given us! Together, we serve on the Missions and Worship Teams. We have found that serving is a great way to get connected with what is happening at Evergreen as well as get to know people and make new relationships. We are both passionate about world missions and have a strong desire to encourage others to be involved in missions. We have both been on short term mission trips to Africa and were greatly affected by the experience. Serving on the Missions Team has been a great experience for us and we are so thankful for Evergreen’s commitment to missions! I’m humbled and honored to be asked to serve Evergreen on the Leadership Team. We have a legacy of strong leadership here and I’m thankful for the opportunity to serve with men that I have great respect for. I believe that God has gifted me with the knowledge, skills and desire to serve his church and I pray that God would continue to empower me as I serve.